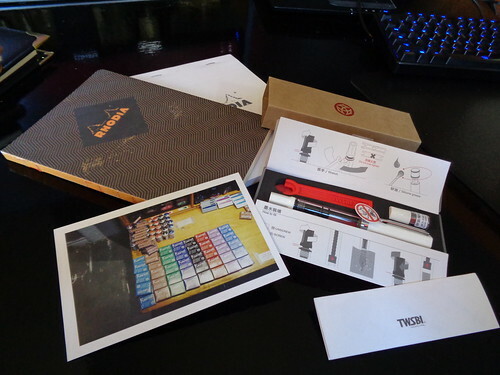 In my parcel this week was another, yes, another TWSBI Eco. This one has a fine nib though, the others have a 1.1mm stub, and a bold. I am really keen on the stub, the bold is a little too wet, so I wanted a fine to really contrast to the others. How many times have I said I don’t like demonstrators, I’m not fond of fine nibs, and I don’t like piston-fillers? But these guys are brilliant. They don’t leave my desk, so I’m OK with the piston-filling, because I never take them on the road for longer than a barrel-full of ink will last; and I may be coming round to the whole demonstrator thing. Buy one, you won’t regret it… and you might get a postcard from Liz. 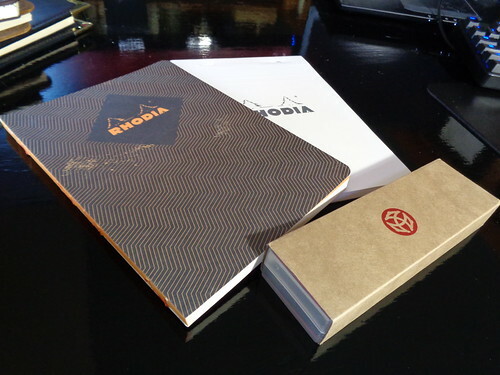 But that wasn’t all, I needed an A5 notepad, something fountain-pen friendly, that I could tear A5 sheets from, enter the Rhodia Ice White (A5) lined notepad, for five bucks Canadian; just the job. And finally, something I was itching to get a look at since reading Liz’ blog post, the Rhodia Heritage Book Block Notebook in Black Escher. I seriously want to get into playing with these, and posting a review or two, but I’ve got a PhD reserach proposal to finish, and its deadline is looming. If I get that done, then I can play with the new toys. 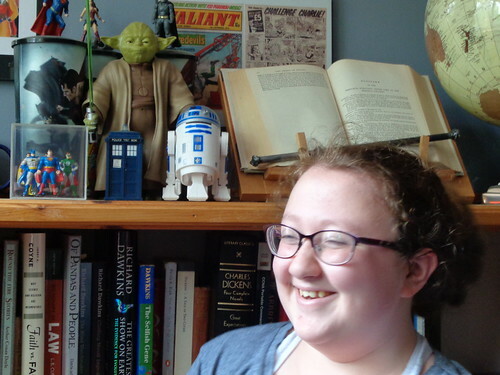 Aaaaaaand then I had another distraction… this PhD will never get finished. Everybody likes to know what’s in a parcel.